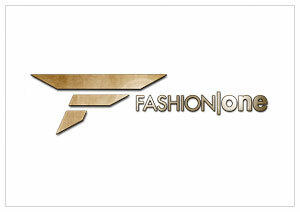 April 10, 2015, New York – Fashion One, the premiere fashion, entertainment and lifestyle international broadcaster, presents its selection of the most talked about fashion standouts at the biggest celebrity events of the year in Red Carpet’s Best and Worst. From slick tuxedos and fine long gowns, to the perplexed ensembles and risk-taking looks, get a chance to critique the dashing and daring fashion choices of the stars as they walk through the red carpet. The awards season is one of the much-anticipated events in the year, not just because of the celebrities being recognized for their work, but also for the red carpet moments where the stars walk through the blinding camera lights donning their best outfit and accessories. However, an army of stylists and a wide selection of designer couture do not always guarantee a fashion critique’s approval. Get to know which celebrities became this year’s style icons and who made the biggest fashion blunders as Red Carpet’s Best and Worst takes on the 57th Annual Grammy Awards and the 87th Oscars. Red Carpet at the Grammy’s astonished the crowd as two pop music stars turned heads for different reasons. Wrecking Ball singer, Miley Cyrus, surprised the spectators as she tamed her sexiness with an elegant Alexandre Vauthier Couture styled with a bareless back, sleek hair and minimal make-up. This is definitely one of the best looks we’ve seen from this pop icon by far. On the opposite side of the spectrum, Iggy Azalea’s overall look just wasn’t working. Her uni-braid crown paired with the cobalt blue Giorgio Armani cut out couture dress has been a subject of ridicule and meme’s, as the styling just didn’t fit the Australian beauty. From music to the movies, the Oscars is the epiphany of Hollywood glam and exuberant fashion. ‘50 Shades of Gray’ lead star, Dakota Johnson, heated up the red carpet with a sizzling hot bright red Saint Laurent gown. Looks like the ‘Red Room’ experience made an impact on this beauty’s number. No one can describe sizzling hot star without mentioning Scarlett Johansson, unfortunately her red carpet look this year was a letdown. Although her emerald green Versace fitted her like a glove, the oversized beady necklace and her hairstyle was just dreadful and unnecessary. Witness how your favourite stars faired in Red Carpet’s Best and Worst, premiering on April 17, Friday at 22:00 (GMT+8 for Asia / GMT+1 for the rest of Europe). Check your cable operators for your local TV channel listing.